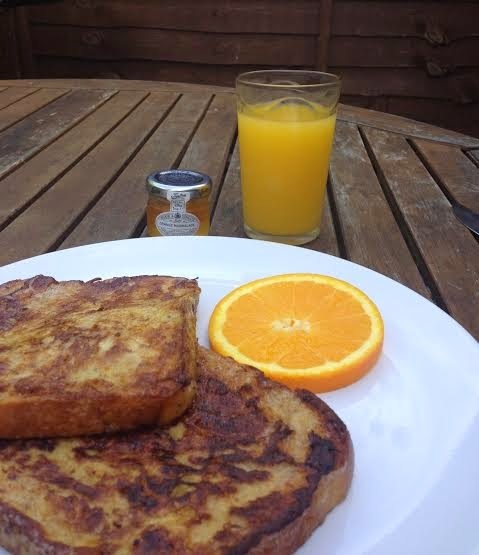 French toast is my breakfast weakness, it genuinely makes me go weak at the knees (or stomach)! 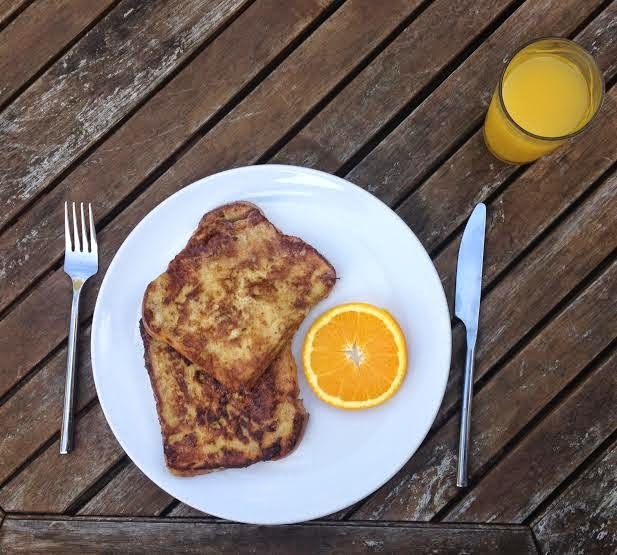 Whatever you call it – French toast, pain perdu, gypsy toast or eggy bread – if it’s on the menu I’m most likely going to choose it. 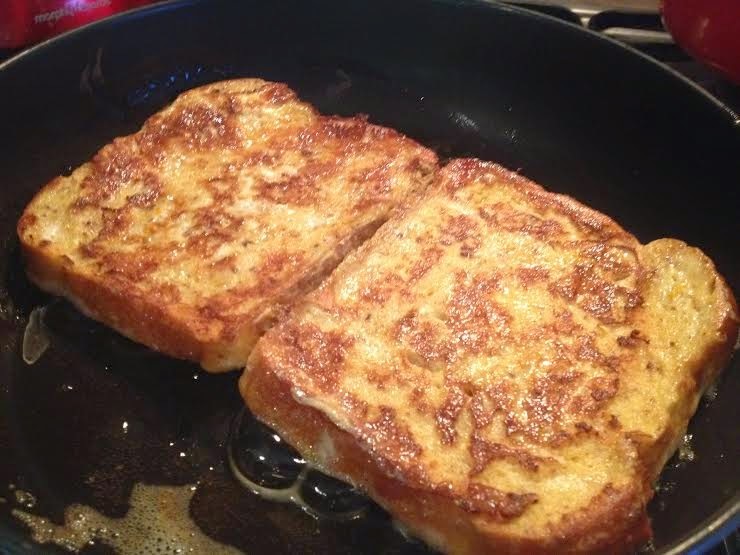 I love French toast mainly because there are so many variations. This simple breakfast (or supper, I’m not here to judge) can be accompanied by crisp, salty bacon, sharp berries, or indulgent clotted cream. Not to mention a favourite tea-time staple - tomato ketchup. 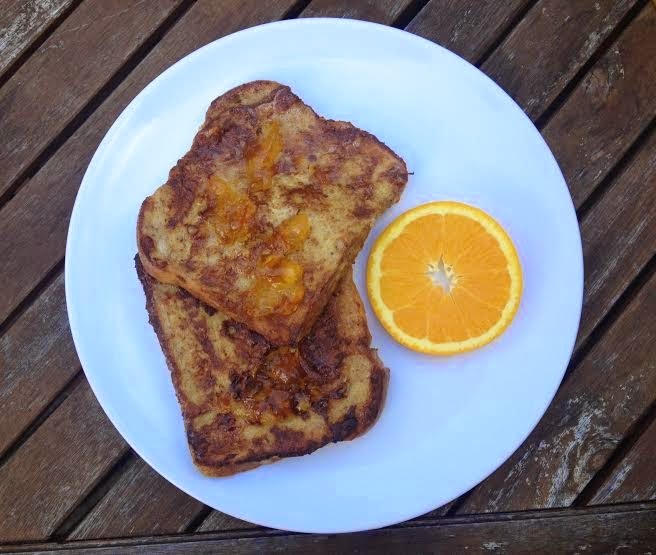 This recipe for orange French toast takes your average eggy bread to another level. A perfect weekend brunch which looks more impressive than it actually is. 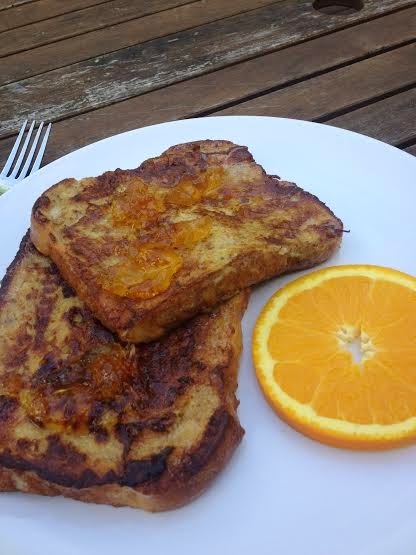 I like to call it my Paddington Bear Breakfast, thanks to the lashings of marmalade I spread on the freshly cooked bread which melts into a sticky syrup. Delicious! Whisk two eggs in a bowl with a heaped tsp of ground cinnamon and a tbsp of light brown sugar. Cut an orange in half and give it a good squeeze into the egg mixture – but don’t use all of the juice or it will become too wet. Then finely add about a tsp of orange zest into the bowl. Pour the mixture onto a shallow bowl or plate and place two stale pieces of white bread (fresh slices will disintegrate!) into the egg and allow to it absorb the mixture – turning now and again – for about five minutes. Maybe don't eat anything else for the rest of the day...? 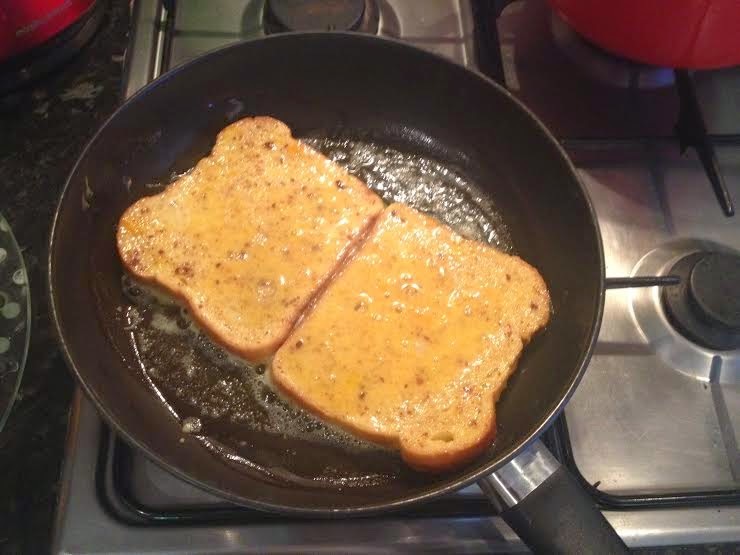 Melt a knob of butter in a pan until it starts to foam, then add the slices of bread to the pan. Fry off in the butter until golden and flip to cook the other side. It takes a couple of minutes each side, so keep an eye on it. Serve straight away with a good helping of your favourite marmalade.